It’s been kind of quiet over here, and that’s largely a good thing - Wodehouse has just been ticking along more-or-less working as designed. I’ve not needed to add any new devices for a while, nor have any catastrophically broken. We are looking at upgrading Wodehouse in the near future (i.e. moving), so it’ll be interesting to see how redeployable our setup is. In the meantime, here’s a quick round-up. So, back in June, Hello went bust, so my sleep tracker’s life has come to an end. The company stated they’d be releasing the data from the system to users “at the end of [that] week”, but that never happened. I did send a follow-up email to find out what was up with that, but I haven’t heard anything. I'm a bit disappointed that they said they'd release the data and they haven't followed through. My advice on data is if you know you’re going to want it, only use services that already offer data extraction up front - my experience has been that if they don’t offer it to begin with, then go bust, they generally have little incentive to offer it after the fact. Other things to look out for are how the data is published, is it in an open format, is it compatible with other services (and do those other services have import options) and are they going to charge you for the privilege? Fitbit, for example, used to only offer export as a premium service, but now it’s available to everyone. Google Fit lets you export your data anytime via Google Takeout. The same goes for checking if you can delete all of your data from a service before you commit to using it long-term, which may be something you can do but requires you actually contacting them to ask (you’ll have to check the T&Cs on signup). Remember, most companies are not incentivised to help you either leave their services. If freedom to move your data between services is a top priority for you, check before you commit. On the topic of sleep data, my now only sleeping tracking device I’m actively using is my Pebble Time Round. It’s still working great, although I have bought a back-up one from Amazon for cheap just in case. I’m glad I did, since the latest offering from Fitbit - the Ionic - is underwhelming to say the least. My plan is to keep my Pebble on life-support until someone else cottons on to the fact that women want smart wrist watches that actually fit. My continued delight in my Pebble has made me turn my attention to the other devices I’m carrying on my person day-to-day. My smartphone - currently the Google Pixel - really bothers me. It’s so large and cumbersome, doesn’t fit in my pockets and is just so boring. I’m looking at either getting, or making, something a lot smaller or continuing to supplement it with other devices that mean I don’t have to drag that brick out of my bag so often. I'd love to see a trend back towards the wacky Nokia days. The house is largely running how I want it to right now - I have a couple of outstanding jobs. The first is our roller blinds in the living room - they’re still dumb, but I’d really like to connect them up for privacy and security reasons. I often stalk kickstarter and indiegogo when I’m at a loss, and I am hoping that the MOVEZ blinds motoriser device comes through soon. 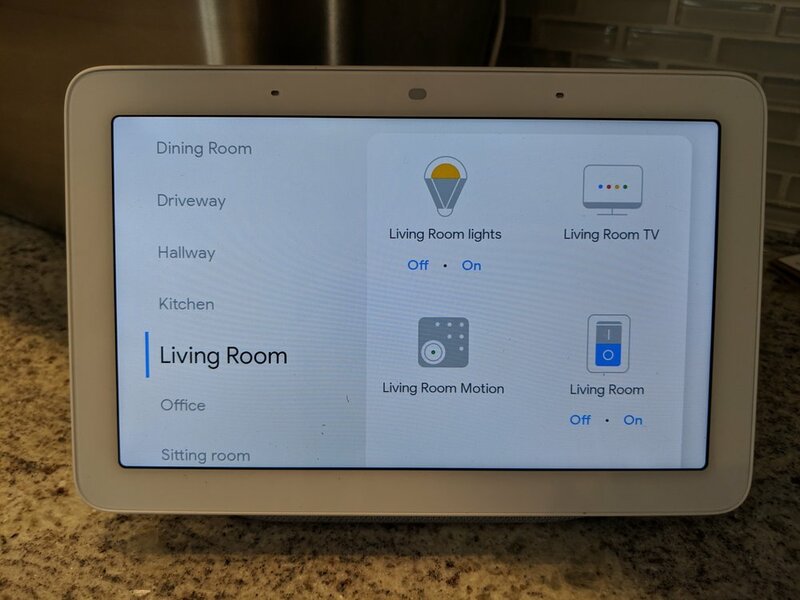 I had come across their solution a couple years back when it was only Bluetooth, but now that it’s Z-wave it could be perfect for what I’m looking for. The other thing is the recent heat-wave in San Francisco has me looking at air quality and cooling again. We generally don’t need AC, but Wodehouse does kind kinda stuffy and it's only predicted to get warmer. Not got my eye on anything specific yet, so please do send your reckons. Coming up soon: More robots and DIY devices.